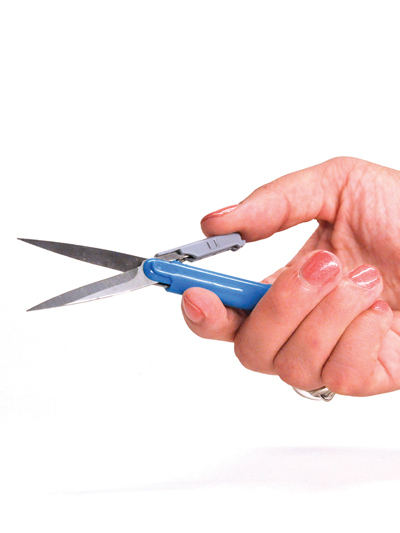 These compact scissors can easily be carried in your pocket, purse, backpack, pencil case, makeup bag or briefcase. 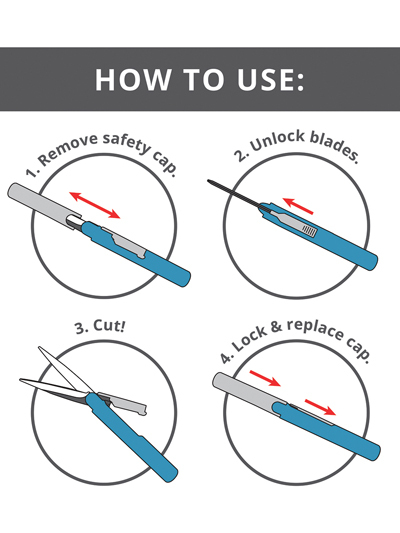 Simply remove the safety cap, unlock the blades and start cutting! 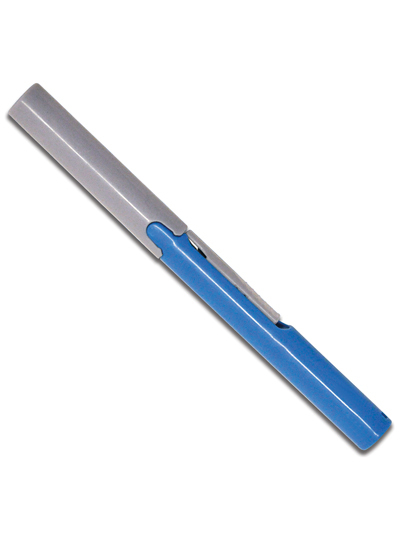 The safety cap and lock keep the blades securely stowed and ready for use at any time. 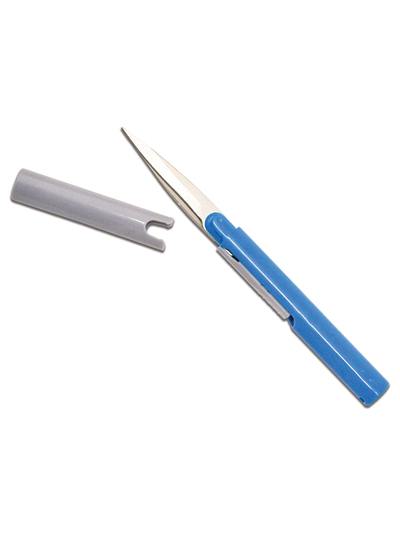 Quickly trim loose threads, yarn, paper and more. 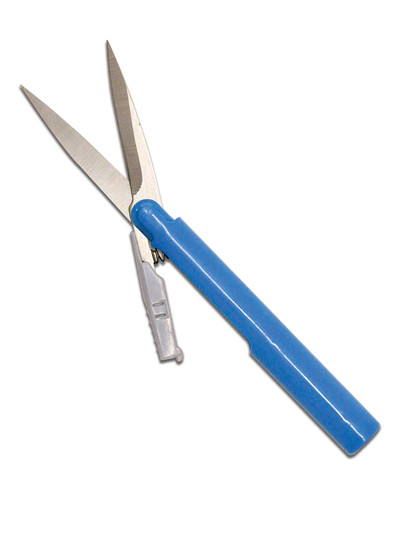 The functional design is great for both right- and left-handed use. Approximately 5 1/4" long.